India has enrolled more children than ever before in secondary schools, but it is failing to teach them what they should be learning, with the most vulnerable, such as students from scheduled tribes, falling further behind the rest, reveal the preliminary findings of an ongoing global study. The India findings, gleaned from the relatively advanced states of Andhra Pradesh and Telangana, are in line with previous studies that revealed nationwide persistent, learning deficits (here and here). Conducted in Andhra Pradesh and Telangana in July-August 2016 and February 2017 with 8,355 children in grade IX, the Young Lives longitudinal study is an international investigation across four countries, funded by the University of Oxford, UK. 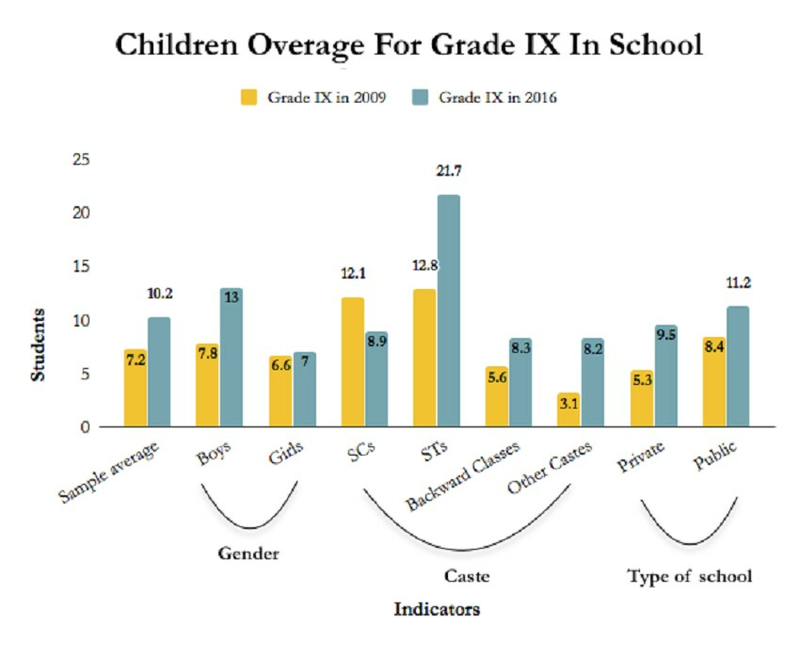 Among the positives: The share of children aged 15 (the normal age for grade IX if a child started school at age six in grade I) in grade IX rose to 91 percent in 2016 from 78 percent in 2009; the share of girls aged 15 enrolled in grade IX was up to 90 percent in 2016 from 74 percent in 2009, while the proportion of children from backward classes at that age rose to 91 percent from 76 percent over these eight years. 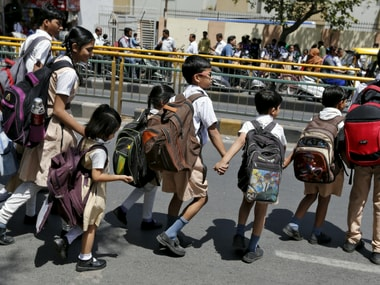 But even as the share of children attending private schools increased marginally to 37 percent in 2016 from 3 percent in 2009, private school enrollment remains biased towards upper castes (62 percent), the richest third (62 percent) and urban children (64 percent). The ongoing study has followed 12,000 children in India, Ethiopia, Vietnam and Peru since 1998 and the 2016-17 round is the fifth in the series. 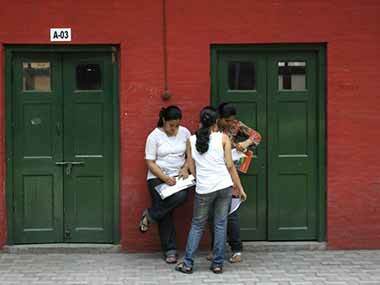 Cross-country comparisons are yet to be published, said Renu Singh, Country Director, Young Lives India. Young Lives followed two cohorts of grade IX students, born seven years apart–the younger cohort turned 15 in 2016 and the older in 2009–to track changes in their education over the period. The share of children in grade IX who could answer three math questions–adding with decimals, reading a pie chart and solving a problem–fell by two percentage points to 10 percent in 2016 from 12 percent in 2009. In government schools, the proportion of children answering math questions dropped by 0.7 percentage points to 9 percent in 2016, in private schools, the share dropped by six percentage points to 14 percent in 2016. Average scores in a math test of 31 questions were lowest in government schools (30 percent) and highest in private schools (41 percent) in 2016. The proportion of overage grade IX students from scheduled tribes–a set of tribes recognised by the Indian constitution as historically disadvantaged and eligible for state support–rose the highest by 9 percentage points between 2009 and 2016 in the Young Lives sample, three times the rise in the sample’s average. 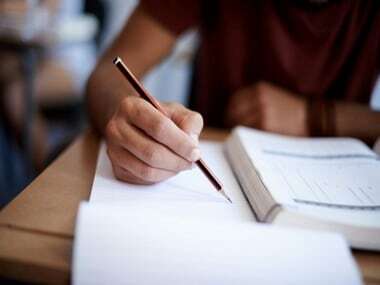 The highest proportion of students reporting their homework was checked by teachers were from private unaided schools.